Rumor mill: Whatever you think of Samsung’s rumored $1850 foldable Galaxy X handset, there’s no denying it could shake up the phone industry. Now, new reports have surfaced claiming the device will feature a 6000mAh curved battery and is set to debut at CES 2019. One of the issues with a bendable phone is the battery, which needs to be flexible enough to move with the handset. Samsung SDI, the company’s battery division, did build a battery four years ago that could fold, but it only had a capacity of 210mAh. Now, industry sources speaking to ITHome say it’s developed one with a capacity between 3,000mAh and 6,000mAh—the upper of end of which should provide plenty of juice for the Galaxy X’s 7.3-inch OLED screen. The image below shows what they could look like. For comparison, Samsung’s Galaxy S9+ features a 3,500mAh battery. But even if the company doesn’t go down this route, it could always use two individual standard batteries, one in each panel. Separately, regular leaker Ice Universe, who has a good record when it comes to these things, tweeted that the Galaxy X would be shown off at the annual Consumer Electronics Show in Las Vegas next January. 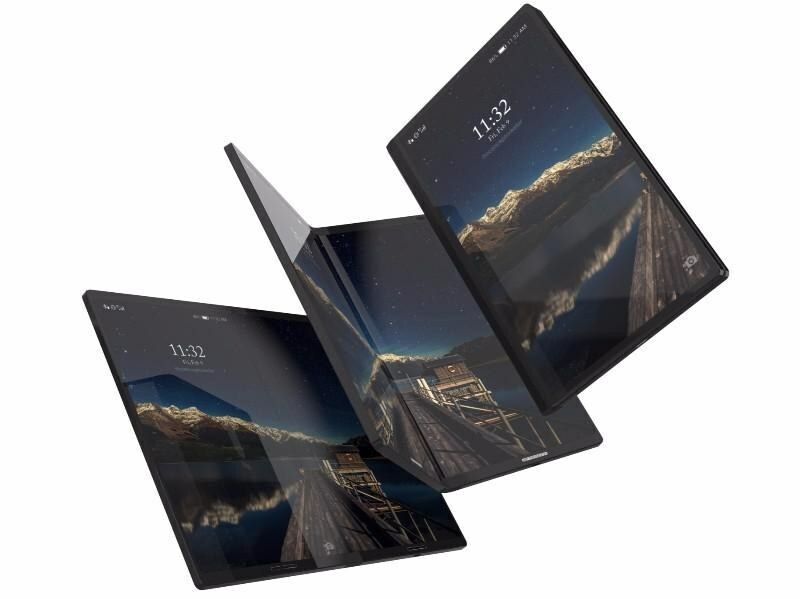 We’ve already heard from analysts that 2019 will be the year we’ll see the foldable handset, meaning a CES unveiling could be on the cards. Additionally, Ice Universe said the Galaxy S10 would be unveiled at MWC 2019. Samsung revealed the S9 at the same event this year, so the news isn’t unexpected. Assuming this is the case, it would make sense to debut the Galaxy X at CES, thereby keeping the spotlight on the S10 at MWC. In addition to the folding screen and high price tag, the Galaxy X is expected to feature a Snapdragon 845 and at least 6GB of RAM. Hopefully, we'll find out more in January.